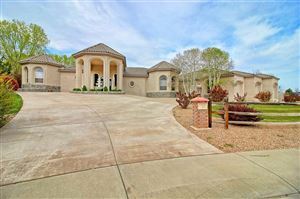 Are you looking for the perfect home? Or perhaps getting ready to put your existing home on the market? You’re in the right place. 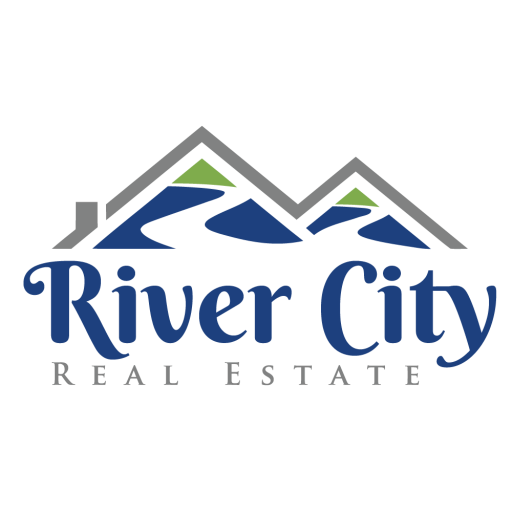 River City Real Estate is a full-service real estate company founded on our strong Grand Valley roots and dedication to customer satisfaction. Truly a new experience in real estate, we offer a relationship-oriented service model and strive to provide exceptional follow-up and communication. Our professional sales agents make selling and buying property easy! Their experience dealing with inspectors, mortgage brokers, title companies, utility companies, and other agents results in a smooth sales transaction for you. Located in the heart of Grand Junction at 362 Main Street, Suite B, Grand Junction, Colorado, River City Real Estate is at the center of the growing, scenic valley that we call home. 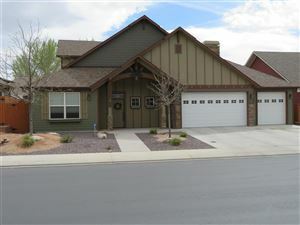 River City Real Estate, in partnership with Senergy Builders, is proud to offer Energy Star rated homes in communities all over the valley such as Brookwillow Village, Halls Estates, Columbine Cottages, and Willow Wood. Homes by Senergy Builders provide comfortable, affordable home ownership in a package that comes with lower maintenance costs than the standard home. In fact, Energy Star certified homes, nationwide, save their owners an average of 20% on yearly utility bills. These savings apply directly to all home appliances and systems, such as heating and cooling. In the Grand Valley, where winter temperatures are often below freezing and summer temperatures average in the 90’s, there is ample opportunity to realize the benefits of owning an energy efficient home. 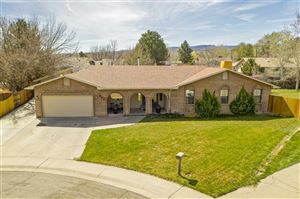 If you are considering relocating to Grand Junction, Colorado then you couldn’t make a better choice! Western Colorado provides an amazing place to live, work, play, and worship. With mountain biking, fishing, hiking, a dynamic downtown, a thriving art community, and two dozen local wineries, Western Colorado is a wonderful place to call home. Let one of our expert Realtors help guide you through the relocation process. We’re looking for forward to hearing from you! The city of Grand Junction is the home rule municipality that is the county seat and the most populous municipality of Mesa County, Colorado, United States. The city has a council–manager form of government, and is the most populous municipality in all of western Colorado. Grand Junction is situated 247 miles (398 km) west-southwest of the Colorado State Capitol in Denver. As of the 2010 census, the population of the city was 58,566. Grand Junction is the 15th most populous city in the state of Colorado and the most populous city on the Colorado Western Slope. Grand Junction serves as a major commercial and transportation hub within the large area between the Green River and the Continental Divide. It is the principal city of the Grand Junction Metropolitan Statistical Area which had a population of 146,723 in 2010 census. The city is located along the Colorado River, at its confluence with the Gunnison River which comes in from the south. The name "Grand" refers to the historical Grand River; it was renamed as the Upper Colorado River in 1921. The word "Junction" refers to the confluence of the Colorado and Gunnison rivers. Grand Junction has been nicknamed "River City". The city is located near the midpoint of a 30-mile (48 km) arcing valley, known as the Grand Valley; since the late 19th century it has been a major fruit-growing region. Historically the valley was long occupied by the Ute people and by earlier indigenous cultures. It was not settled by white European-American farmers until the 1880s. Since the late 20th century, several wineries have been established in the area. The Colorado National Monument, a unique series of canyons and mesas, overlooks the city on the west. Most of the area is surrounded by federal public lands managed by the US Bureau of Land Management. The Book Cliffs are a prominent series of cliffs that define the northern side of the Grand Valley. Interstate 70 connects the city eastward to Glenwood Springs and Denver and westward to Green River, Utah; Salt Lake City is reached to the west via Interstate 70 and U.S Route 6; and Las Vegas (via Interstate 70 and Interstate 15). The Country Jam Ranch is located near Grand Junction just north of I-70 at the Mack exit. This is a permanent festival site built for music festivals, including Country Jam. This event has been held annually since 1992, drawing thousands of country music fans to the area. The Grand Junction area has developed as a major mountain biking destination, with many bikers coming from the Front Range of Colorado, the Salt Lake City area, and as far away as California to enjoy the area's abundant single-track trails. Two prominent trails are the Tabeguache and Kokopelli trails, the latter running from near Loma to Moab, Utah. Fruita, Colorado, with its 18-Road trail system, is within 10 miles of the city and has become a major mountain biking destination. As of the census of 2000, there were 41,986 people, 17,865 households, and 10,540 families residing in the city. The population density was 1,362.6 people per square mile (526.2/km²). There were 18,784 housing units at an average density of 609.6 per square mile (235.4/km²). The racial makeup of the city was 91.78% White, 0.60% African American, 0.94% Native American, 0.76% Asian, 0.12% Pacific Islander, 3.81% from other races, and 1.99% from two or more races. Hispanic or Latino of any race were 10.86% of the population. There were 17,865 households out of which 25.5% had children under the age of 18 living with them, 46.1% were married couples living together, 9.4% had a female householder with no husband present, and 41.0% were non-families. 33.2% of all households were made up of individuals and 13.8% had one living alone who was 65 years of age or older. The average household size was 2.23 and the average family size was 2.84. In the city the population was spread out with 21.2% under the age of 18, 11.9% from 18 to 24, 26.3% from 25 to 44, 22.8% from 45 to 64, and 17.9% who were 65 years of age or older. The median age was 39 years. For every 100 females there were 95.1 males. For every 100 females age 18 and over, there were 92.6 males. The population figures are for Grand Junction only; the city abuts smaller towns and unincorporated county areas which contribute to area commerce. Median gross rent in 2013: $821.